How Does Caffeine Work And Is It Good Or Bad? A vast majority of people make or buy a nice cup of coffee as part of their ever lasting routine to “wake up” or get that boost of energy, but what’s the real deal with this drug? It’s extremely common for someone to be tired and think that they need a beverage with caffeine because it will pick them up. This magical thing gives us a boost and makes our minds alert right? Actually it doesn’t! Caffeine in fact BLOCKS the receptors that make you feel tired. So all of a sudden you feel like you have all this energy when a moment ago you were tired, in reality you’ve just stopped feeling tired. Your brain has actually been tricked. There are some other side effects that the body endures but energy wise you’re not getting a real “boost” to your system. Our brains produce a neuro-chemical called Adenosine which builds up throughout the day and finally gets to the point that you have to go to sleep to have it released. The trick that caffeine plays is that it resembles adenosine’s shape and size and enter the receptors without activating them. So instead of feeling sleepy those particular receptors are then effectively blocked. Once those receptors are blocked, your brain’s natural stimulants such as dopamine and glutamate can function more freely. Stephen R. Braun, author of a 224 page paper in 1997 explained caffeine in an excellent metaphor. Think of it like a vehicle. Instead of hammering the gas, caffeine simply blocks the brake. This drug has many uses but it doesn’t boost your actual skill level but it can bump up your speed in certain abilities. For mundane tedious tasks you do everyday in the office, caffeine can actually improve your output and quality of work. On the other hand something more creative or complex doesn’t appear to have any benefit. What products or drinks have the most caffeine? Like many other consumables, you build up a tolerance. The first time you have coffee, tea or pop you might be feeling quite the “jolt”. After having these items for a while, the same amount doesn’t seem to give you as much of a boost. This isn’t that surprising really because that’s simply the way the body works. You build up a tolerance to anything that you continue to consume regularly. Caffeine takes around 5 – 6 hours after ingestion before the dose wears off from the human body. Women who take oral birth control actually take around twice as long to process caffeine. Smokers take around HALF the time to process. This is actually a funny fact because all stereotypes aside, I tend to notice that smokers drink a lot of coffee and more often! Something a little interesting is that you can feel withdrawal from caffeine fairly quickly. This can be anywhere between 12 – 24 hours after your last use. This is a huge indicator of why the first drink of coffee in the morning seems like such a big deal. It’s staving off that withdrawal in addition to the normal effects! Withdrawal is the same as with any substance. Your brain has become accustomed to functioning with this consumable and now all of a sudden things have changed. Headaches are the most common side effect of killing off your caffeine intake. In fact you may have noticed that a lot of patients who come out of anesthesia after a major surgery feel a headache. This is usually because they’re not used to being without caffeine for so long. Depression, irritability, nausea, fatigue, lethargy, eye spasms and even vomiting can be a part of the caffeine cut off. This is something you’ll just have to deal with for around 10 days or so if you’re trying to quit cold turkey. 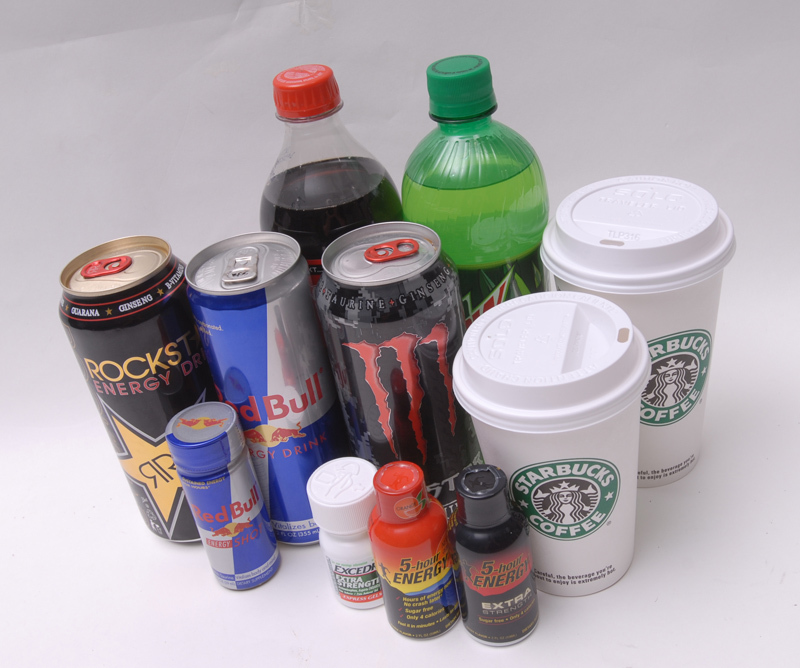 What are the top health concerns from caffeine intake? When it comes down to it, caffeine seems a little more dangerous and undesirable once you know the facts. Sure all the drinks with it taste great and yes it does help with some fatigue but there is a cost. The cost isn’t all short term too. A lot of it is long term and can negatively impact you in a critical way. That being said, caffeine has it’s uses but should be taken in moderation and wisely. I’d recommend trying to limit your intake so that you can live a longer and healthier life, but I know it’s pretty hard to pass up a nice fresh cup of coffee! Click on the following source to find out the most exquisite water pipes in the market.